as promised...here are some of my thrift finds. i'm very excited!! this pretty white suitcase! hooray!! 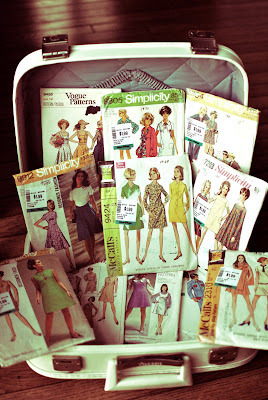 a ton of vintage sewing patterns from the 60s and 70s. i need to make some of these dresses! and this awesome typewriter!! i love the colour. i think the typewriter is in working condition but i haven't verified that yet, haha. 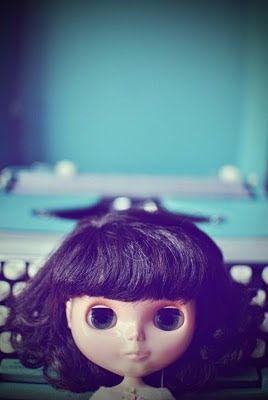 it is very fun to take pictures of though! I love the blue in the typewriter! Such a pretty shade! oh my what excellent finds! 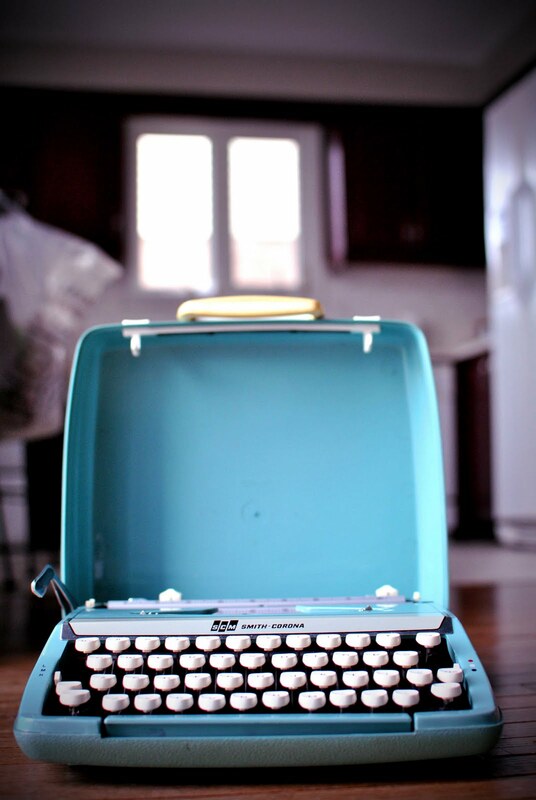 i LOVE the suitcase and typewriter. 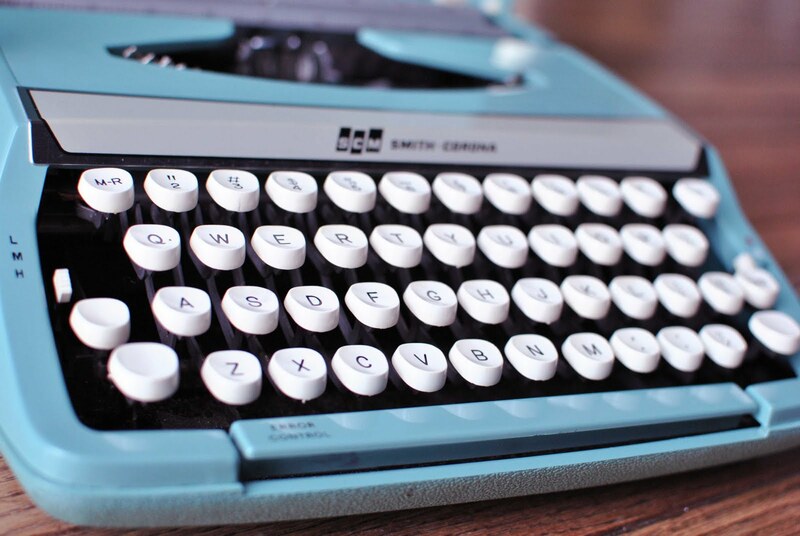 That is such a pretty typewriter. I saw one at a thrift store and I wanted it but when I returned it was gone. such great finds! i'm so jealous! 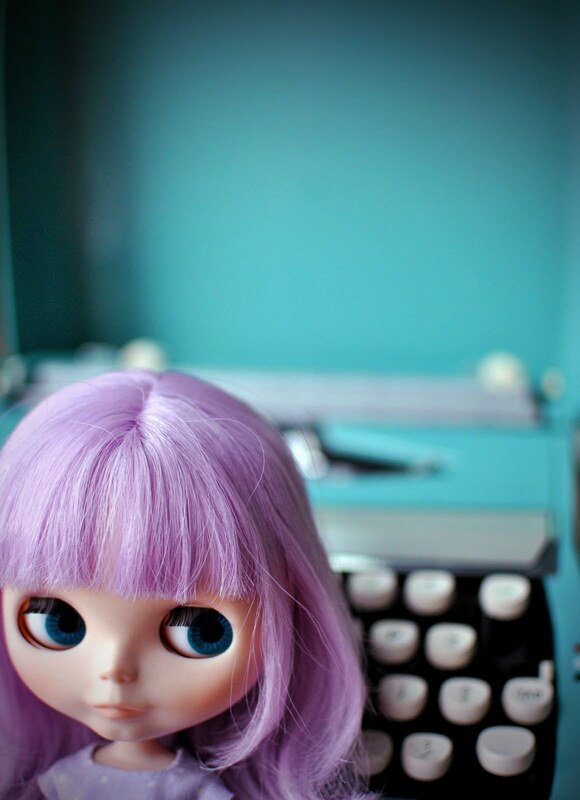 :) i hope the typewriter works, but it's pretty just to look at as well. Lovely finds!!! I'm especially jealous of all your patterns! I've been wanting to order 3 of those same ones actually!! 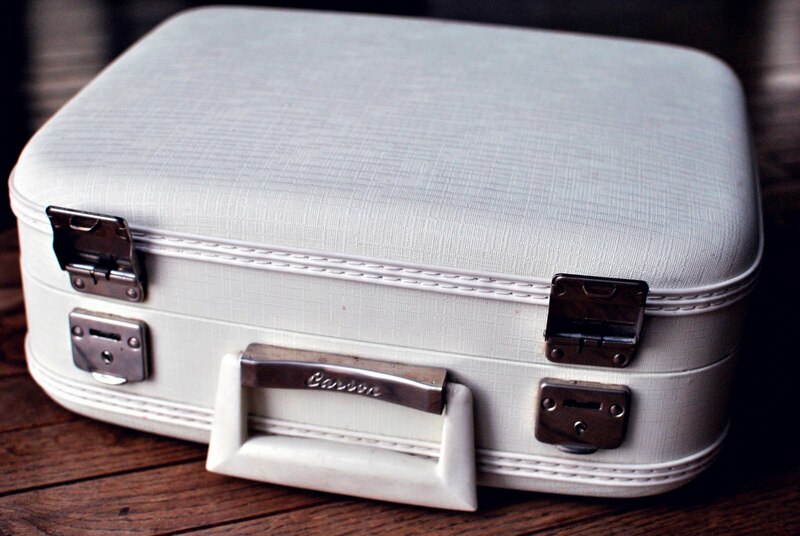 Oh I love that pretty suitcase! I just scored one myself, it's mustard yellow and perfect to carry my roller skates! I don't know what you sand matted her face means, but she looks super cute and I like how you included the Blythes in the thrift pictorial. Last Christmas my dad's employees had a typewriter from 1924 refurbished for him - which I think is his all time favorite gift from them...anyway I can get the info for you if you want. Great finds! 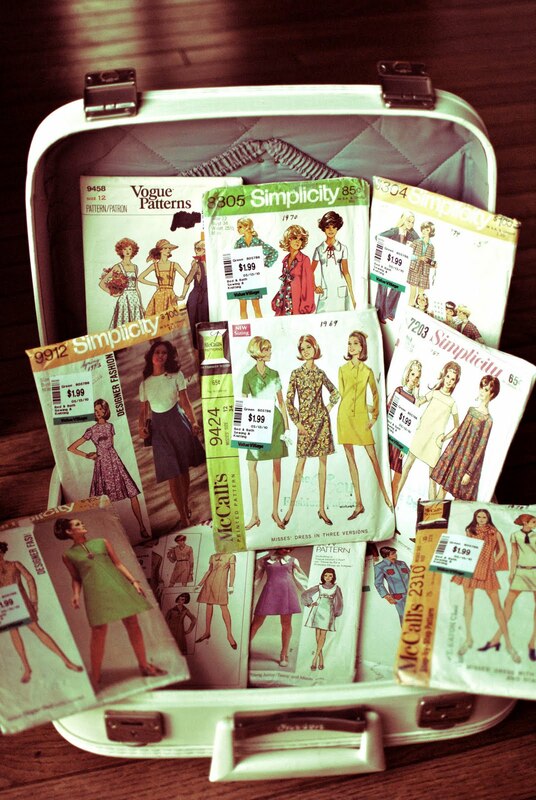 I think I have one of the same vintage dress patterns. 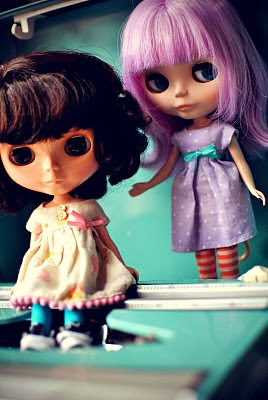 I haven't tried sewing any of them yet because I think I am going to have to alter the pattern and that intimidates me a bit. When (if) you make something from the patterns, please tell us!